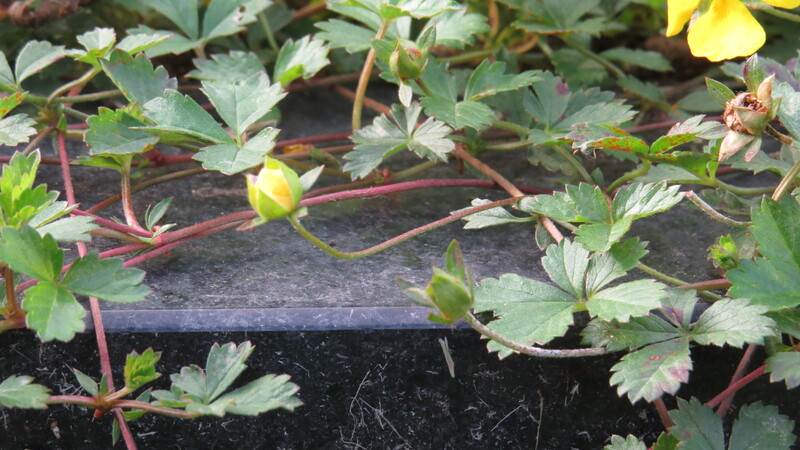 Dear Readers, I am always a little puzzled by the plants that grow in the cemetery. On some graves, such as this one, there will be a healthy amount of a particular species, but then it won’t be found anywhere else. 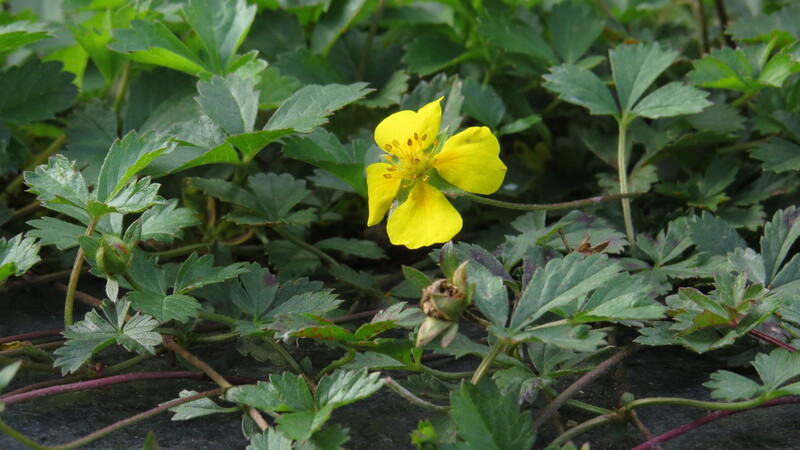 Sometimes, it’s obvious that this is because something has been planted deliberately, but on other occasions it’s a native plant such as tormentil, a member of the rose family. Although not uncommon, tormentil is normally found on acid soils, so I am assuming that there’s something about the substrate on this burial place which makes it more suitable for the plant. As the year draws to a close, however, I am delighted to find anything in flower that I haven’t already written about, so I am happy to have a small mystery. Tormentil is an unusual member of the rose family because it has only four petals (most of the others have five). 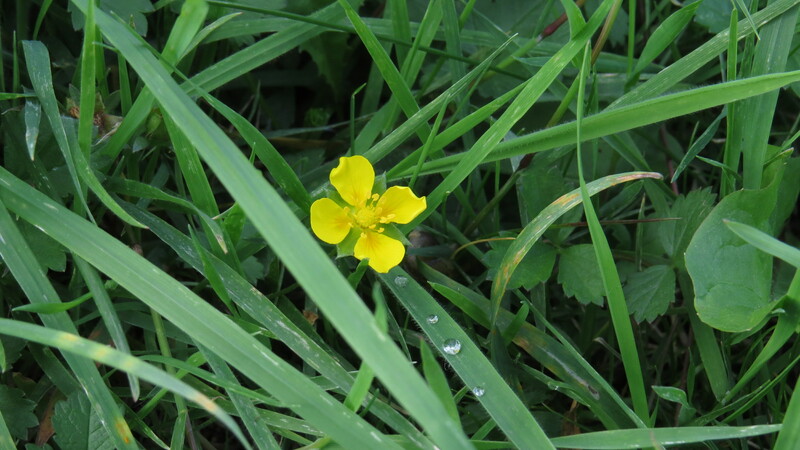 It is closely related to the cinquefoils, and like them has leaves that have five leaflets (hence the ‘cinq’ part of the name), although in young leaves two of them appear vestigial. It is a low-growing, creeping plant, but very pretty when looked at closely. 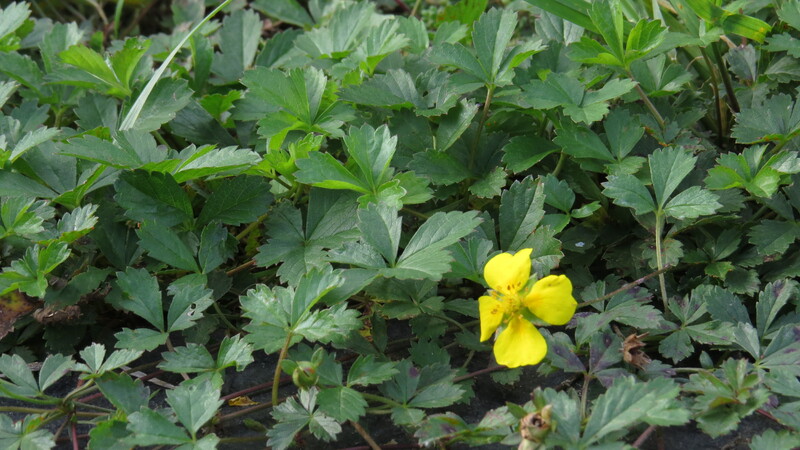 Tormentil is a very common and widespread plant, with a range that encompasses Europe, Scandinavia and western Asia, but like so many of the ‘Wednesday Weeds’ I hadn’t really noticed it before, and would probably have passed by it today if it hadn’t been for its late flowering. Our ancestors used the root of tormentil as a red dye for leather (another name for the plant is ‘bloodroot’), and it is still used to create an artists’ colour called ‘tormentil red’. The dye was used extensively in Scandinavia and in Scotland, and there is a very interesting account of an experiment with tormentil by Jenny Dean here. 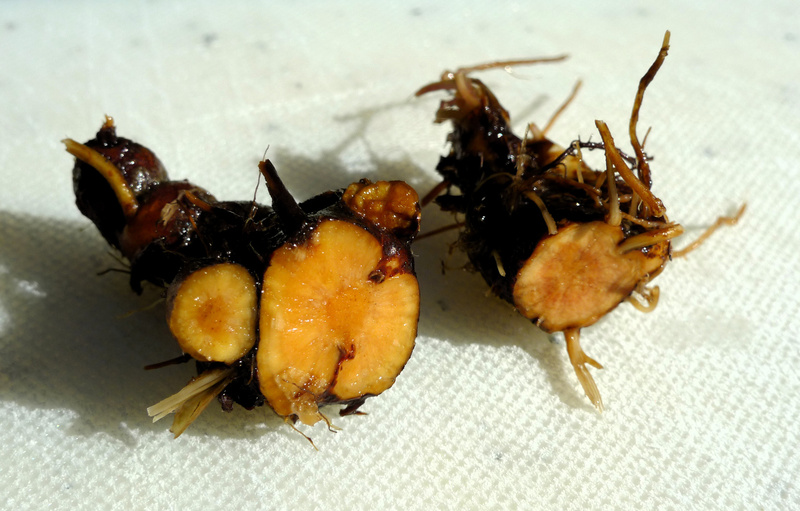 Tormentil root contains a lot of tannin (which traditionally was thought to help bind proteins together) and it is also thought to have antiseptic properties, hence tormentil’s honourable role in the treatment of diarrhoea, gingivitis, conjunctivitis and various other ‘itises’. Gargling with a decoction of tormentil root is said to be beneficial for sore throats and mouth ulcers. In Ireland, it has been used to treat scour in cattle, and foot rot in sheep (many thanks to the Herb2000 website for this information). The name ‘tormentil’ is thought to relate to the torments of the diarrhoea and toothache that the plant is said to cure. However, on the Plant Lives website, Sue Eland suggests that the name might come from the Latin word for flatulence, ‘tormina’. I shall leave it up to you to decide which version fits in with your personal philosophy of plant naming. Having done Latin as an O-Level many, many years ago, I rather go with the theory that if the people naming plants could slip in a vulgar joke, they would, but maybe that says more about me than them. 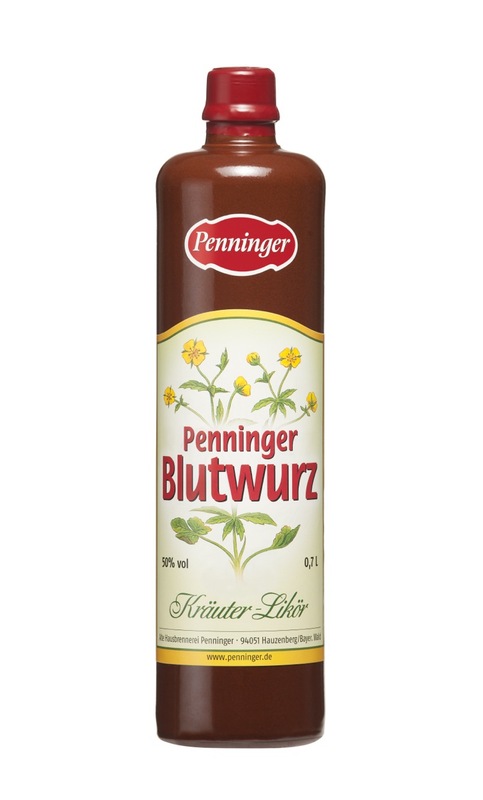 Although the tannin content of tormentil makes it an unlikely food plant it has, you’ll be delighted to hear, been turned into an alcoholic beverage called Blutwurz in Bavaria. The liqueur is a mere 50% by volume, and is made by macerating the root in alcohol. The resulting liquid is filtered but not distilled to preserve the plant’s medicinal qualities. I would be most intrigued to discover what it tastes like: I suspect that it will be one of those drinks that is ‘good for you’ rather than pleasant to drink. But then, once upon a time I thought that about whisky, and look where that ended up. Tormentil makes an appearance in the poem ‘October’ by Edward Thomas, a poet who makes more and more sense to me as I have grown older, and am more inclined to recognise the happiness of a breezy, ‘ordinary’ autumn afternoon. The poignancy of the elm, mentioned in the first line and now practically extinct in the UK, makes me think how much we should value and protect our plants and animals rather than taking them for granted. This entry was posted in London Plants on October 5, 2016 by Bug Woman. Edward T.’s poems grew on me slowly, too. Now they seem subtle but also passionate and full of observant details. A tad too gloomy at times! another excellent post and I much enjoyed reading the poem. You know, I think your posts are so interesting and varied that you should think of publication. It’s hard (at least for a plant novice like me) to remember everything and having the posts in book form would enable indexing, referencing and cross-referencing. The book would gain from having the stream of consciousness and worthwhile linkages that you put into your work. You would need a good publisher and editor in sympathy with your project. What do you think? Thank you, Rosni3, for your kind words and for your confidence in my abilities. I have thought about writing a book, and may well start actually doing so soon – a number of people have said that they would like to see the ‘Wednesday Weeds’ in print. I will keep you posted! I should like to see your blog in print too.